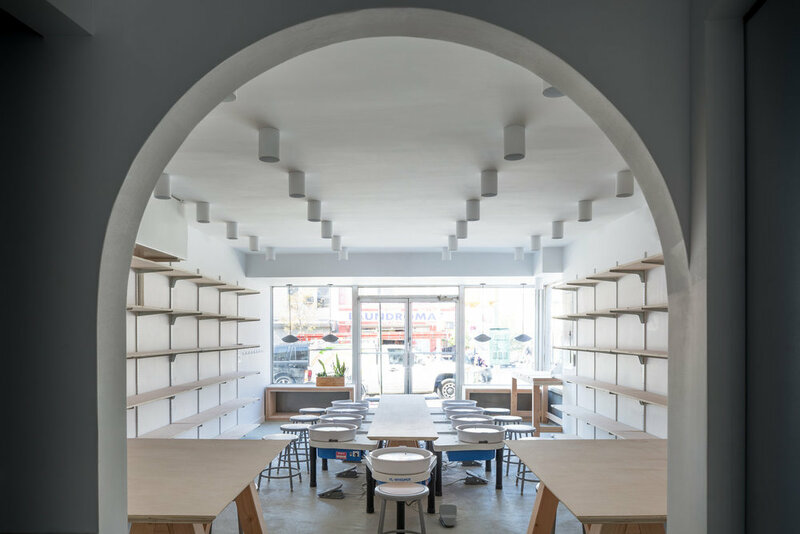 New York based ceramist Bebe Federmann and owner of SoulVesselDesigns is also an instructor at BKLYN clay in Brooklyn, Mud Sweat & Tears in Hell’s Kitchen and an Associate Artist at Brickhouse Ceramics on Long Island City. The artist collaborated with 5th26 on a few special pieces for the home, including tea cups, vases and trays in sepia tones. The process took months of research and collaboration before finalizing each design. Now that the collection is complete and campaign shot by Christian Larsen, we sit down with Bebe to learn more about her, what she thinks of ceramics in our modern age, and is chemistry really important? (pun intended). 1. How do you begin your day at the studio? I usually start the day by getting my hands in some clay. I have a small studio space, so I am either working with clay or glazing. I usually don't do both on the same day, in an effort to keep my studio clean, and things from getting contaminated. 2. How did you become a ceramic artist? One day I randomly walked into a bead shop with an idea to make a necklace, I saw a brochure for a local pottery studio, immediately left the store, and signed up for my first class. That was 19 years ago. I never would've thought that it could turn into a career, but within a few years I was the assistant manager at that same studio and taught classes. Things have just grown since then. 3. Working with clay involves years of experience to develop technique. How long have you been working with clay and how did you develop your technique and style? Did you have a mentor or were you self-taught? I have been working with clay for 19 years. My first teacher at a local studio was Randy Blume. She not only taught me everything I wanted to know, but also eventually made me her assistant. She encouraged me to take workshops, talk, and meet with other ceramic artists within the community, and to read everything I could get my hands on. This was before the days of the Internet when the only way to learn was hands-on, not by watching videos or periscope. I went to every workshop I could and was able to learn from some of the most well regarded artists in my field: Jack Troy, Nick Joerling, Michael Kline...the list goes on and on. 4. What do you find most challenging and rewarding about working with clay? Clay is an amazing medium to work with. It is very forgiving and you are only limited by your own imagination. Firing your creations is a whole different story, and where most of the problems occur. My motto has always been, "the kiln has the final say". An error in firing can be devastating (it takes a lot of labor, and a lot of clay, to fill a whole kiln load), but sometimes things go better than expected and that is pure joy. Unloading a kiln and seeing finished pieces for the first time is always exciting, no matter how many times you do it! 5. You develop and mix your own glazes. Can you tell us how the process works? Are some colors more difficult than others? What most people don't realize is that there is a lot of chemistry involved in the glazing making process. You need to know how each ingredient will respond to heat, atmosphere, and the other ingredients. Commercial glazes are very popular these days since they are already formulated perfectly for specific firing techniques, but to me that’s cheating. I think that learning about glazes and learning about different firing techniques is part of the process. I also think there is a little bit of mad scientist and pyromaniac mixed in with being a potter. I'm inspired by the things I see everyday and by history; Japanese ceramics in particular. There has always been such a respect for the clay and the craft of pottery making. 7. How was your collaboration with 5th26 different from other collaborations you’ve worked on in the past? When I've worked on other collaborations I've usually felt like I was given a specific project, without as much room for creativity. Working with Brandon was a true collaboration, where both our ideas and dialog continually lead us in new directions with the project. This was the first project of its kind I've worked on, and the most fulfilling. 8. As an experienced artist, what do you think about the current breadth of work out there today? This is an exciting time for ceramics, with social media having a tremendous effect on the popularity of handmade objects. Sometimes I think this trend is more focused on design and less on craftsmanship. When I was first learning ceramics I was taught to focus first on my technique, then once it was mastered, to find my own unique voice. The modern world sometimes works in reverse, where artists are designing objects based on trends rather than through mastery of their craft. 9. You live and work in New York City. What do you love most and least about it? I love the energy of the city! A couple of years ago I started splitting my time between Brooklyn and Long Island. 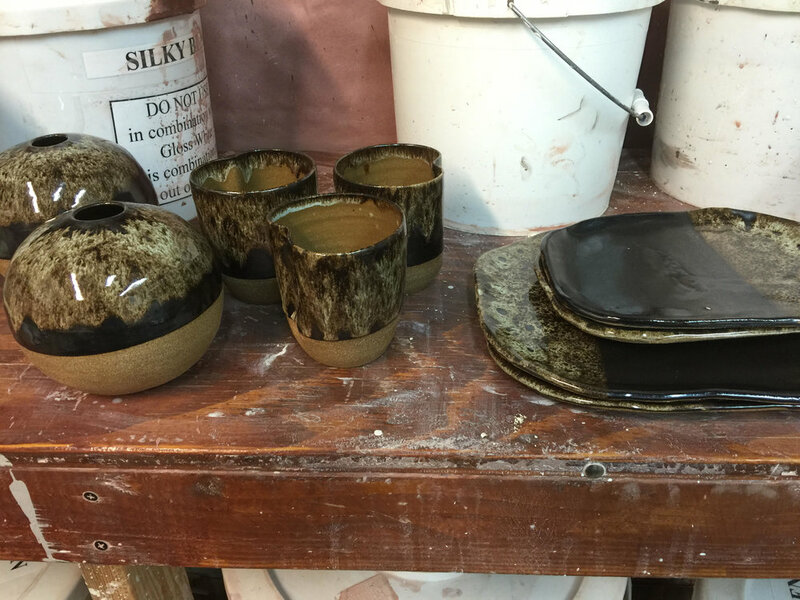 Having a studio in the suburbs allows for greater creativity with glazing and firing, where you need more space, and better ventilation. I love having both a "country" life and a "city" life. There’s nothing quite like escaping an urban environment every once in awhile, and just sitting and watching the ocean waves.